Adjoa A. Aiyetoro is a Professor Emeritus at University of Arkansas Little Rock William A. Bowen School of Law and a member of the board of the National Conference of Black Lawyers. Aiyetoro has extensive experience working domestically and internationally to obtain remedies for historical and present day wrongs to people of color, women, prisoners and other oppressed groups. As a Professor Emeritus, she directs a research and advocacy project at the UALR William H. Bowen School of Law, Racial Disparities in the Arkansas Criminal Justice System. Linda Martín Alcoff is Professor of Philosophy at Hunter College and the CUNY Graduate Center, and Visiting Research Professor at Australian Catholic University. She is the author of The Future of Whiteness. For the past five years she has taught a course on Decolonizing Knowledge and Power for the Center for the Study and Investigation for Decolonial Dialogues in Spain and more recently in South Africa. Her writings have focused on social identity and race, epistemology and politics, sexual violence, Foucault, Dussel, and Latino issues in philosophy. She is currently at work on a new book on sexual violence, and another on decolonizing epistemology. She is originally from Panama, but lives today happily in Brooklyn. asha bandele, Drug Policy Alliance’s Senior Director of Grants, Partnerships and Special Projects, joined the organization in 2005. She built and continues to manage DPA’s grants program, which supports grassroots organizations by provi-ding financial and intellectual resources, while regularly engaging a wide array of audiences in public conversations about drugs and drug policy. The award-winning, best-selling author of The Prisoner’s Wife and four other books, asha is also a journalist whose articles have been read widely in publications that include the the New York Times, the Nation, Vibe, Ebony and Essence, where she covered a broad range of people from Winnie Mandela to Denzel Washington, from Assata Shakur to Mary J. Blige. Mary T. Bassett, MD, MPH was appointed New York City Health Commissioner in January 2014. Her focus is on ensuring every neighborhood supports the health of its residents, with the goal of closing population health disparities across the city. She completed her medical residency at Harlem Hospital, her medical degree at the Columbia College of Physicians and Surgeons, her master’s degree in Public Health from the University of Washington, and her bachelor’s degree at Harvard. Marsha Barrett is an assistant professor of history and African American Studies at Mississippi State University, where she teaches courses in African American History and U.S. political history. She received her Ph.D. in history from Rutgers University and her B.A. from Yale University. Currently, she is revising her book manuscript, which examines New York Governor Nelson Rockefeller (1959-1973) and his relationship with voters to provide insight into the demise of racially liberal moderate Republicanism. Ruben Carranza is the Director of the Reparative Justice Program (RJP) at the International Center for Transitional Justice (ICTJ). He is currently involved in supporting different reparations, truthseeking and individual criminal accountability processes – from supporting the Truth and Dignity Commission in Tunisia, or the Mau-Mau veterans seeking reparations in Kenya, or groups addressing grievances over land and historic injustices in the Philippines and Colombia and helping communities in Libya and Nepal confront legacies of divisive and violent conflict. Additionally Carranza obtained his law degree from the University of the Philippines in 1990 and a Master of Laws degree from New York University Law School in 2005. Pat Clark is the Interim Program Director for the Themis Fund at Proteus. She has directed criminal justice programs at the American Friends Service Committee (AFSC), served as the executive director of the Fellowship of Reconciliation and directed the Klanwatch Project at the Southern Poverty Law Center. From 2004-2006, Pat served as a commissioner with the Greensboro Truth and Reconciliation Commission. She has also consulted with Michigan Roundtable for Diversity and Inclusion and the Maine Wabanaki-State Child Welfare Truth and Reconciliation Commission. Jessie Daniels, PhD is Professor of Sociology and Critical Social Psychology at Hunter College and The Graduate Center, at the City University of New York (CUNY). She is an internationally recognized expert on Internet manifestations of racism, the author or editor of five books including Cyber Racism (Rowman & Littlefield, 2009), and as dozens of peer-reviewed articles. Daniels also worked in the Internet industry. She writes regularly at Racism Review, a scholarly blog that she co-founded and has maintained since 2007. Forbes Magazine named her one of “20 inspiring women to follow on Twitter,” and you can find her there as @JessieNYC. Daniel Denvir is a reporter at Salon where he reports on politics, immigration, criminal justice, and the drug war. Soffiyah Elijah is the Executive Director of the Alliance of Families for Justice. Established in 2016 in NY, the mission of the Alliance of Families for Justice (AFJ) is to support families of incarcerated people and people with criminal records, empower them as advocates and enable them to marshal their voting power to achieve systemic change. Prior to founding AFJ, Ms. Elijah was the Executive Director of the Correctional Association of NY where she was the first woman and the first person of color to lead the 170 year old organization. Ms. Elijah has dedicated her life to human rights and social activism, and is a frequent presenter at national and international forums on criminal justice policy and human rights issues. Bryan Epps is the Executive Director of the Malcolm X & Dr. Betty Shabazz memorial and Educational Center (an internationally recognized memorial and educational center at the assassination site of Malcolm X). Epps is a politico with experience as a Senior Adviser under Mayor Cory A. Booker, Senior Analyst under Mayor Michael R. Bloomberg and progressive city/state lobbyist across New York and New Jersey. As the inaugural chair of Hetrick-Martin Institute Newark’s Advisory Board, Bryan helped establish an after school program for LGBT youth and allies and is also founding board chair of People’s Prep high-school in Newark, New Jersey. Kenyon Farrow is an award winning writer and organizer, whose work has been at the nexus of mass incarceration/criminalization, HIV, housing/homelessness, LGBT issues, and racial justice. He is the US & Global Health Policy Director for Treatment Action Group, an independent AIDS research and policy think tank fighting for better treatment, a vaccine, and a cure for AIDS, TB and Hep C. His writings appear in dozens of anthologies, and print and web new outlets. Kenyon was named one of Out magazine’s Out 100 for 2008, one of BET Network’s “Modern Black History Heroes” for 2011, and is a 2016 Sexual Freedom Award recipient by the Woodhull Institute. 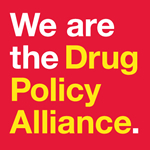 Kassandra Frederique is New York State Director at the Drug Policy Alliance (DPA). In addition to working for policy solutions to reduce the harms associated with drug use, Frederique works with communities throughout the state to address and resolve the collateral consequences of the War on Drugs – state violence. As a co-author of Blueprint for a Public Health and Safety Approach to Drug Policy and as technical advisor to Ithaca Mayor Svante Myrick’s The Ithaca Plan, Frederique cultivates and mobilizes powerful coalitions in communities devastated by drug misuse and drug criminalization to develop municipal strategies to foster healthier and safer communities. Robert E. Fullilove, EdD is the Associate Dean for Community and Minority Affairs, Professor of Clinical Sociomedical Sciences and the co-director of the Cities Research Group. Dr Fullilove has authored numerous articles in the area of minority health. From 1995 to 2001, he served on the Board of Health Promotion and Disease Prevention at the Institute of Medicine (IOM) at the National Academy of Sciences. Since 1996, he has served on five IOM study committees that have produced reports on a variety of topics including substance abuse and addiction, HIV/AIDS, tuberculosis, and damp indoor spaces and health. In 2003 he was designated a National Associate of the National Academies of Science. Jason E. Glenn was the Rockwell Distinguished Professor in Medical History in the Institute for Medical Humanities at UTMB before joining the Center to Eliminate Health Disparities in 2015. He is a member of the Center for Addiction Research, and is the director of Sobriety High, Inc., providing community re-entry services for ex-prisoners. He helped create the first drug court in Galveston, which he continues to administer. He is the author of Making Crack Babies: Race, Discourse and the Biologization of Behavior in the edited volume Precarious Prescriptions: Contested Histories of Race and Health (2014). Helena Hansen, MD, Ph.D., is assistant professor in the Departments of Anthropology and Psychiatry at NYU and a research scientist at Nathan Kline Institute for Psychiatric Research. She has published widely in clinical and social science journals ranging from JAMA to Social Science and Medicine, on faith healing of addiction in Puerto Rico, psychiatric disability under welfare reform, addiction pharmaceuticals and race, and ethnic marketing of pharmaceuticals. She has received major funding from NIDA, the Mellon Foundation, and the Robert Wood Johnson Foundation. Carl Hart is the Chair of the Department of Psychology at Columbia University. He is also the Dirk Ziff Professor of Psychology in the Departments of Psychology and Psychiatry. He has published numerous scientific and popular articles in the area of neuropsychopharmacology and is co-author of the textbook Drugs, Society and Human Behavior (with Charles Ksir). His most recent book, High Price: A Neuroscientist’s Journey of Self-Discovery That Challenges Everything You Know About Drugs and Society, was the 2014 winner of the PEN/E.O. Wilson Literary Science Writing Award. Professor Hart has appeared on multiple podcasts, radio and television shows including Real Time with Bill Maher and The O’Reilly Factor. David Herzberg is an associate professor of history at the University at Buffalo (SUNY) who specializes in pharmaceuticals, race, and American culture. His first book, Happy Pills in America: From Miltown to Prozac, was a cultural history of psychiatric medications; he is currently writing a second book, The Other Drug War, on race and addiction pharmaceuticals since the Civil War. Terrell Jones is a former drug user who, like many other people of color, was incarcerated because of his drug use. Determined to change the racist drug laws in New York State and stigma associated with drug use and that often resulted in his being denied job and housing opportunities, Mr. Jones became an advocate for drug policy reform, an activist to advance harm reduction throughout NYC and NYS, and a vocal supporter of given people a second chance. Mr. Jones is presently the Education and Advocacy Program Manager at NYHRE. Mariame Kaba is an organizer, educator, curator and founding director of Project NIA, a grassroots organization that works to end youth incarceration. She is a voice in numerous social movements for prison abolition, racial, gender and transformative justice. Mariame is an advisory board member of Chicago Torture Justice Memorials, a group (along with Project NIA, Amnesty International and We Charge Genocide) that worked to get the Chicago City Council to pass a reparations law providing restitution to the victims of Jon Burge, a police commander who tortured more than 200 criminal suspects, most of them black men, from the 1970s through the early 1990s. Erin Kelly is Associate Professor of Philosophy and Department Chair at Tufts University, where she teaches ethics, political philosophy, and the philosophy of law. Her research focuses on questions about justice, the nature of moral reasons, moral responsibility and desert, and theories of punishment. Her book-in-progress, Limits of Blame: Rethinking Punishment and Responsibility, is critical of the retributive ideal of criminal justice and, more broadly, the use of moral blame in criminal punishment. Travis Linnemann is Assistant Professor in the school of Justice Studies at Eastern Kentucky University. His work focuses upon culture and politics of police and state violence, and has appeared in journals such as British Journal of Criminology, Theoretical Criminology, Crime, Media, Culture, Critical Criminology. He is also the author of Meth Wars: Police, Media, Power (New York University Press, 2016). Carl Lipscombe is the Programs Manager at the Black Alliance for Just Immigration (BAJI), a racial justice and migrants’ rights organization that organizes, advocates, and raises public awareness around issues facing African Americans and Black immigrants. For over 15 years, Carl has organized poor Black and immigrant communities; litigated on behalf of indigent criminal defendants and undocumented immigrants; and worked with grassroots organizations to affect policy change on the local, state, and national levels. Joe Margulies is a Professor of Law and Government at Cornell University. He was Counsel of Record in Rasul v. Bush (2004), involving detentions at the Guantánamo Bay Naval Station, and in Geren v. Omar & Munaf v. Geren (2008), involving detentions at Camp Cropper in Iraq. Presently I represent Abu Zubaydah, who was held in CIA black sites and whose interrogation in 2002 and 2003 prompted the Bush Administration to draft the infamous "torture memos." He is the author of What Changed When Everything Changed: 9/11 and the Making of National Identity (Yale 2013) and Guantánamo and the Abuse of Presidential Power (Simon & Schuster 2006). Tommy McDonald is deputy director of media relations at the Drug Policy Alliance. After an eight-year journalism career, McDonald made the transition into public relations in late 1998, joining Communication Works, a San Francisco-based nonprofit public relations firm in the public interest. During his tenure, Communication Works became the largest such PR firm on the West coast. In early 2001, Communication Works merged with Fenton Communications, the nation’s largest public interest PR firm. In late 2001, he joined Children Now, a nationally recognized child advocacy organization based in Oakland. McDonald managed national media campaigns on social justice issues, such as juvenile justice, consumer litigation, affordable housing, drug policy, human rights and gun control. Donna Murch is associate professor of history at Rutgers University. She is currently completing a new trade press book entitled Crack in Los Angeles: Policing the Crisis and the War on Drugs. In October 2010, Murch published the award-winning monograph Living for the City: Migration, Education and the Rise of the Black Panther Party in Oakland, California with the University of North Carolina Press, which won the Phillis Wheatley prize in December 2011. She has written for the Sunday Washington Post, New Republic, Nation, Boston Review, Jacobin, Black Scholar, Souls, the Journal of Urban History, Journal of American History, Perspectives, and New Politics and appeared on BBC, CNN, Democracy Now and in Stanley Nelson’s new documentary, Black Panthers: Vanguard of the Revolution. Ethan Nadelmann is the founder and executive director of the Drug Policy Alliance, the leading organization in the United States promoting alternatives to the war on drugs. Nadelmann received his B.A., J.D., and Ph.D. in Political Science from Harvard as well as a Masters’ degree in International Relations from the London School of Economics, and taught at Princeton University for seven years. Described by Rolling Stone as “the point man” for drug policy reform efforts and “the real drug czar,” Ethan Nadelmann is widely regarded as the outstanding proponent of drug policy reform both in the United States and abroad. The Reverend Vivian Nixon is the Executive Director of College and Community Fellowship (CCF), an organization committed to removing individual and structural barriers to higher education for women with criminal record histories and their families. As a formerly incarcerated woman and prior CCF program participant, Rev. Nixon is uniquely positioned to lead the charge to help justice-involved women and their families have a better future. She is a Columbia University Community Scholar and a recipient of the John Jay Medal for Justice, the Ascend Fellowship, the Soros Justice Fellowship, and the Petra Foundation Fellowship. She is a co-founder of the Education from the Inside Out Coalition (EIO) and serves on the advisory board of JustLeadershipUSA. Alexis R. Posey is a Senior Policy Analyst at the Federation of Protestant Welfare Agencies (FPWA). As a Senior Analyst Alexis is responsible for the development of campaigns and programs that promote economic equity for underserved communities in New York City. Alexis’ passion for social justice stems from witnessing the impact that unfair racially biased policies and practices had on her family and her community. Alexis currently leads FPWA’s HIV/AIDS and health portfolio, with a focus on eliminating health disparities for Black women and girls. Alexis graduated with a Bachelor of Arts in Government & Politics from St. John’s University in 2007 and a Masters of Science in Urban Policy Analysis & Management from The New School in 2014. Samuel Kelton Roberts, Jr. is Director of the Columbia University’s Institute for Research in African-American Studies (IRAAS), Associate Professor of History (Columbia University Arts and Sciences), and Associate Professor of Sociomedical Sciences (Mailman School of Public Health, Columbia University). In 2013-14, Dr. Roberts was the Policy Director of Columbia University’s newly inaugurated Justice Initiative (now the Columbia University Center for Justice) and was the editor of the Center’s first research publication Aging in Prison: Reducing Elder Incarceration and Promoting Public Safety (2015). Dr. Roberts also is a member of the Mailman School of Public Health’s Working Group on Mass Incarceration and Public Health. Deb Small is a nationally recognized leader in the drug policy reform movement and has been a major catalyst in engaging communities of color and their leaders to address the negative impacts of the war on drugs. Ms. Small has been at the forefront of the national movement seeking to change our nation’s failed drug policies as an activist attorney and compassionate healer and compassionate healer. More than a decade ago she founded Break the Chains: Communities of Color and the War on Drugs, a public policy research and advocacy organization committed to addressing the disproportionate impact of punitive drug policies on poor communities of color. Marbre Stahly-Butts is currently on the Leadership Team of the Movement For Black Lives Policy Table and has over the past two years played a leading role in creating a space/container for local and national organizations to strategize over policy. She joined the Center for Popular Democracy as a Soros Justice Fellow in Fall 2013 and is now Deputy Director of Racial Justice at CPD. Her Soros Justice work focuses on organizing and working with families affected by aggressive policing and criminal justice policies in New York City in order to develop meaningful bottom up policy reforms. Marbre received her Juris Doctorate from Yale Law School in May 2013. Before law school Marbre received her Masters in African Studies from Oxford University. Monique Tula is the Executive Director of the Harm Reduction Coalition, a national advocacy and capacity-building organization that promotes the health and dignity of people impacted by drug use. A member of the harm reduction community for more than 20 years, Monique is committed to amplifying the voices of people impacted by the war on drugs and working collaboratively with racial and social justice groups to bring harm reduction to the forefront of their platforms. With more than 20 years in the non-profit sector, some of Monique’s work includes being the Vice President of Programs at AIDS United, Board Chair of BEAM, Vice President of Program Planning and Development at AIDS Action Committee of Massachusetts, and Founder of the Massachusetts Viral Hepatitis Coalition. Jasmine L. Tyler is the senior policy advisor for drug policy and global health in the Washington, D.C., office of the Open Society Foundations, where she works with Congress and the executive branch to shape U.S. domestic and foreign policy. Prior to joining Open Society, Tyler was deputy director of National Affairs for the Drug Policy Alliance, and helped lead reform efforts to address the sentencing disparity between crack and powder cocaine which culminated in the passage of the Fair Sentencing Act of 2010.